Actors E. Faye Butler (right) and Kei Rawlins star in Chicago Children’s Theatre’s “Last Stop on Market Street.” The show opens Tuesday and is based on a picture book of the same name. 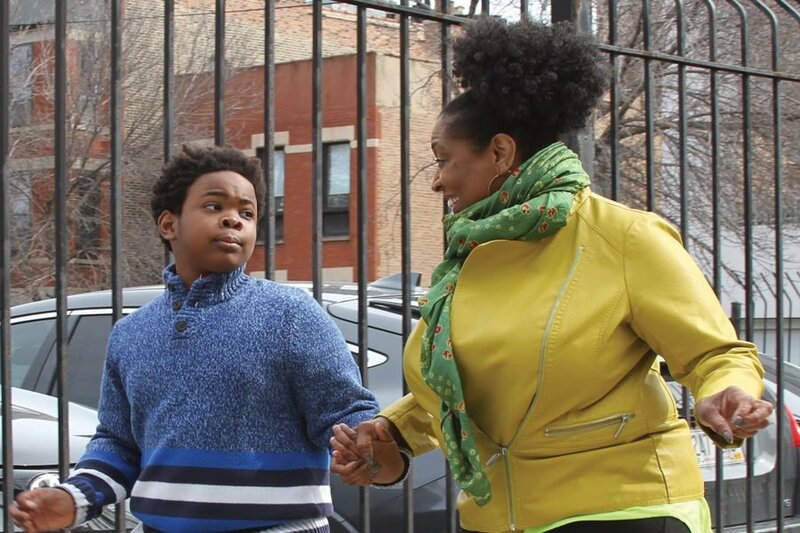 Giving back and realizing one’s self worth — regardless of background — are both central themes in Chicago Children’s Theatre’s production “Last Stop on Market Street,” which follows a day in the life of 7-year-old CJ and his grandmother who teaches him to find beauty in the city on a Sunday afternoon. The show, directed by Communication Prof. Henry Godinez, opens Tuesday and will run through May 27. It is based on Matt de la Peña’s picture book of the same name, which won the 2016 Newbery Medal. In the show, CJ and his grandmother Nana interact with a wide range of characters, including some who are homeless, blind or use wheelchairs for mobility. The story closes at a local soup kitchen, where CJ learns to help those less fortunate than himself. In addition to Godinez, the musical features a number of Northwestern alumni: ensemble members Melanie Brezill (Communication ’08) and Kirra Silver (Communication ’16), costume designer Izumi Inaba (MFA ’11) and lighting designer Alex Ridgers (MFA ’17). Work on “Last Stop on Market Street” began last June, with support from NU’s American Music Theatre Project. Brannon Bowers, AMTP’s producing director, said in an email to The Daily that the group brings leading artists in musical theater to campus to develop and workshop their new musicals before hitting the stage. Bowers said the reading of “Last Stop on Market Street” was a week-long process that focused on adapting the children’s book for the stage. By the end, the team had come up with a new draft of the script that was ready for music integration, Bowers said. Silver said theater can be extremely impactful for children, teaching them lessons not traditionally found within classrooms. Godinez said the book places a strong emphasis on accessibility, which he hoped to stay true to with the show. In addition to providing accommodations for blind or low-vision audience members, Chicago Children’s Theatre will also provide sensory-friendly and accessible shows that include captioning, according to the theater’s website. The theater is also partnering with the Greater Chicago Food Depository to raise awareness about its summer Lunch Bus program, which provides meals to school children during their summer vacation, Godinez said. Audience members are encouraged to contribute and bring non-perishable food donations to performances. Godinez said he hopes the musical sparks “valuable conversations” between children and their parents building on the show’s themes.